(AP) The 2018 muzzleloader and archery season for deer in Tennessee opens on Saturday. According to a news release from the Tennessee Wildlife Resources Agency, Tennessee’s muzzleloader season always begins the third Saturday before Thanksgiving. Muzzleloading firearms of .36 caliber minimum as well as long bows, compound bows and crossbows are legal hunting equipment for this season. 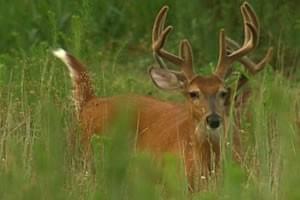 The statewide bag limit for antlered bucks is two. No more than one antlered deer may be taken per day. Bag limits for antlerless deer for the different regions are available in the 2018-19 Hunting and Trapping Guide or on TWRA’s website at www.tnwildlife.org. There hunters can also find licensing requirements and a list of Wildlife Management Areas that are open for deer hunting.